Not made on a loom but I blame this thread for this newest hobby lol. After trying out the loom, I decided to try my hand at crocheting. After several failures I finally made a little newborn romper dress! Does anyone sell their creations? If so, how much do you charge for baby clothes? This is totally sweet ! 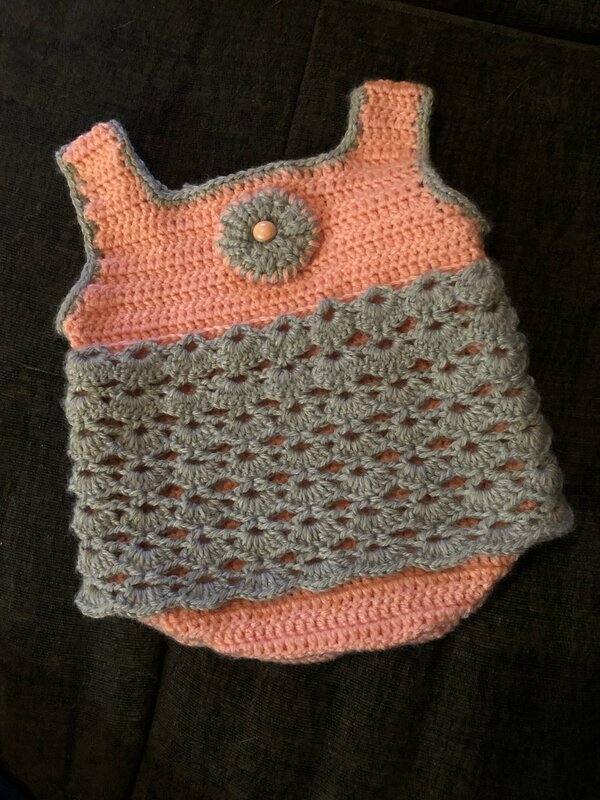 I have seen others on here that sell things they have crocheted for babies but I would have no idea on price. That turned out so lovely! When I had my Etsy shop, crocheted rompers sold for aprox. $20-29 depending if I added antique lace or trims or left them more minimal. That’s really cute. Mercari might be a good place to sell them. I’m not very experienced in knitting but my daughter found a small skein of yarn that she really loves and was wondering what I could make for her with it. So… What can I make with a 3 oz skein of Worsted weight 4 ply yarn? I am late to the question however I haven’t been here much had flu going on anyway I would agree with @Bellybutton there are several small items that can be done . It depends on where your daughters interest lies I did a little comfort doll I showed in this post that was done with nothing but leftover yarn scraps . A Utube search has many many videos showing how to make just about anything and you can make it yours by changing out the colors and stitches used . He is So sweet! Congratulations! He looks nice and snuggly with that hat! Awwww share away, we love babies and Looming! 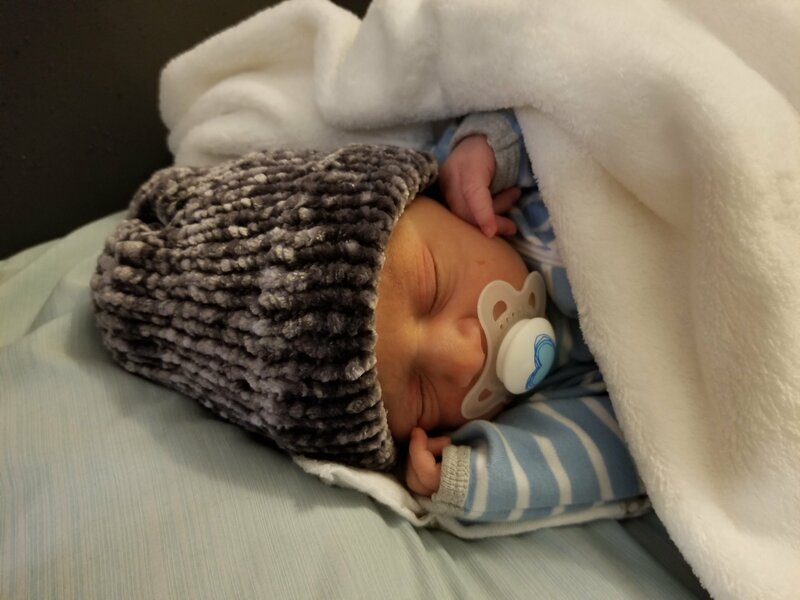 Nice hat on that lovely baby! Very good use for that hat sweet baby and hat . Love you new pic! @marrabo Nice Avatar!